We went on with the free event photography all year around. Many cultural programs and non-profit activities in Debrecen were photo-documented by our members and volunteers. The albums provided a wide visibility to several local and international projects. The free public speech trainings of the association continued till the end of March, this time the Kosár culture pub gave space to our practice sessions where NGO activists could practice how to deliver their messages the most effective way to their audiences. In the framework of the European Voluntary Service (EVS) new youngsters joined our team. They started with cultural event photos under the supervision of Konyhás István, the photo-reporter of Terepszemle Stúdió. As every year, the new team also prepared photo slide-shows on their first impressions of Debrecen. Check out the first works of Nata, Mirko, Laci and Emili. This year our association was elected to be the member of the Youth4Media international network. Our team continued the community service and volunteering as the partner of the Debrecen Bike Maffia and the Művésztér Egyesület in helping the homeless people of Debrecen and to fight against poverty. We recorded the performance entitled Lúdas Matyi és a Galibás Mátyás, presented by O Szabó István on the day of poetry. This year again we organised our traditional Easter gathering. This time the party with egg-painting, sprinkling and witty poem learning took place near the Great Forrest and those who woke up early could join a short trip thorough the forest. Many local and international students joined the “nearly” traditional celebration. This year again we participated the the International Event of the University of Debrecen. This time the Watertower was the location. We offered quiz games and EVS advisory to the students. 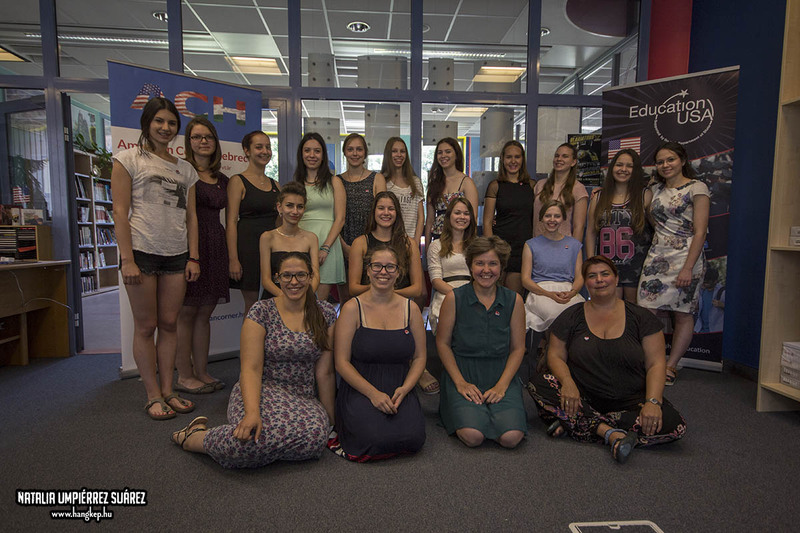 With the American Corner Debrecen we organised the 4th GROW Camp – Girls Rock Our World leadership camp for high-school girls. In the framework of the free camp 15 girls improved their communication and presentation skills and team-work with the help of our association. Other speakers covered the following topics: project management, entrepreneurial skills, leaderships styles. We had a joint tent with the American Corner Debrecen at the Campus Festival. During the 3 days over 500 youth got information on the EU and US programs and scholarships and the free services of the 2 organisations. In Hajdúhadház we started a new program for the local youth group that we work with. This time the Anti-Poverty Network supported the work. By using the tolt of the forum theatre we had a one-week preparation followed by a performance during which the topic of suppression and school bullying were tackled. As a result of our yearly preparation work we organised a 2-week-long workcamp, entitled Back to Nature in Hortobágy. The French, German and Hungarian groups of youngsters helped the renovation of the Hortobágyi Madárkórház és Park (Birdhospital and Park) including the renewal of the drainage system, laying outdoor floor tiles and the renovation and repainting of the wooden playground. Besides the hard work, the youngsters could get to know the natural and cultural values of the region. 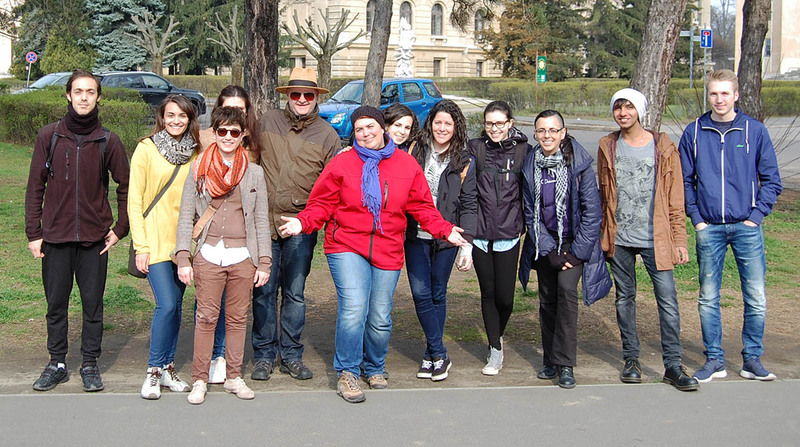 Our association has been supporting the cooperation of the local and international students living in Debrecen. As part of this mission we appeared the the Foreign Fair of the University of Debrecen. We promoted the European Voluntary Service (EVS) and the international youth possibilities in a playful way. The Debrecen Youth Center asked our organisation to record the cultural programs remembering the revolution of 23rd October 1956. As every year, we started the autumn public speech trainings, supported by the NEA (national NGO fund). This time the Water Tower was the venue of the 2 months training course. This year was closed again by the awesome St. Nick Party. During the year we continuously provided free event photography for our NGO partners and other cultural actors. We organised many trainings with and for the local and international volunteers. We believe we made the life of other better during this year.